Who doesn’t love a good alien love story with mystery, murder, and invasions? I know I do! 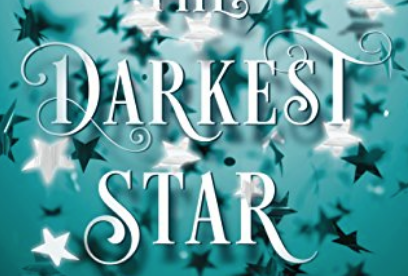 “The Darkest Star” by Jenifer L. Armentrout is a spin off from her Lux series. You can definitely start this book without having to read the other series, though I would advise you to read the Lux series so you can get the full experience. This book starts off with Evie, the main character, and her friend Heidi going to Foretoken which is a club where humans and Luxen, the aliens, can party together. These aren’t the green aliens you must be thinking of. These aliens are made of light and when they take their alien form they are blinding, but they are able to transform into humans and live amongst everyone else. Kind of…. Ever since the alien invasion four years ago that killed over 200 million people, the Luxen have been forced to wear bracelets that smother their powers. The Luxen also must be registered, but of course, not all of them are. Heidi wants to go to meet Emery, someone she has had a crush on for a few weeks now. While Heidi and Emery go to the dance floor, Evie grabs a drink and is content watching people. A bodyguard comes up to her and tells to come with him. Now Emery is thinking that they’ll be kicked out because of their fake IDs, but instead he brings her to the very young owner of the club, Luc. On a side note, I have no idea how to pronounce this character’s name. For years I have been pronouncing it like the nickname from Lucy because they are made from light, but my friend pronounces it like luck. I’ve heard others say it like Luke. After Evie meets Luc, things get kind of weird. Luc knew her real name instead of the one on her fake ID which was Nola. He spoke to her like he has known her for a long time. Luc would tell her things like how stubborn she always is, when they have hardly known each other for a week. While Luc and Evie were talking, police started raiding the clubbing looking for unregistered Luxen. Everyone ran and made it out unscathed. Except Colleen, a girl Evie knows from school, who is captured by the raiders. Evie remembers talking to Colleen before the raid, but no one has seen her since. Everyone is assuming, and is probably assuming correctly, that an unregistered Luxen had kidnapped her. A few weeks later at school, Evie and her friends hear a blood curdling scream coming from the girl’s bathroom. They barge in to see what is going on, and Colleen is there with her eyes burned out of their sockets. As Evie and Luc get closer, Evie starts to learn the truth about her past. More students go missing and are found with their eyes burned out, and they try to catch the creature who is murdering these young women. “The Darkest Star” brought me right back into the world of the Luxen. If you have read the Lux series, then be on the look out for characters from those books. They aren’t mentioned very much, but they are there a few times. Armentrout is one of my favorite authors. She writes a lot of YA sci-fi romance novels. Be on the lookout for her next series coming out Oct. 8. She also writes under the name J. Lynn, and these books are more college romance novels, which I also love!